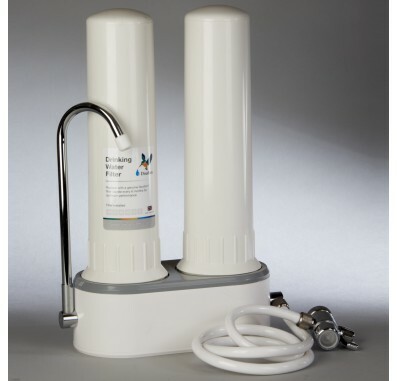 The W9380003 Countertop Duo, 2-stage system is the perfect solution for any apartment or home where space isn't available and one filter just isn't enough to get the job done. 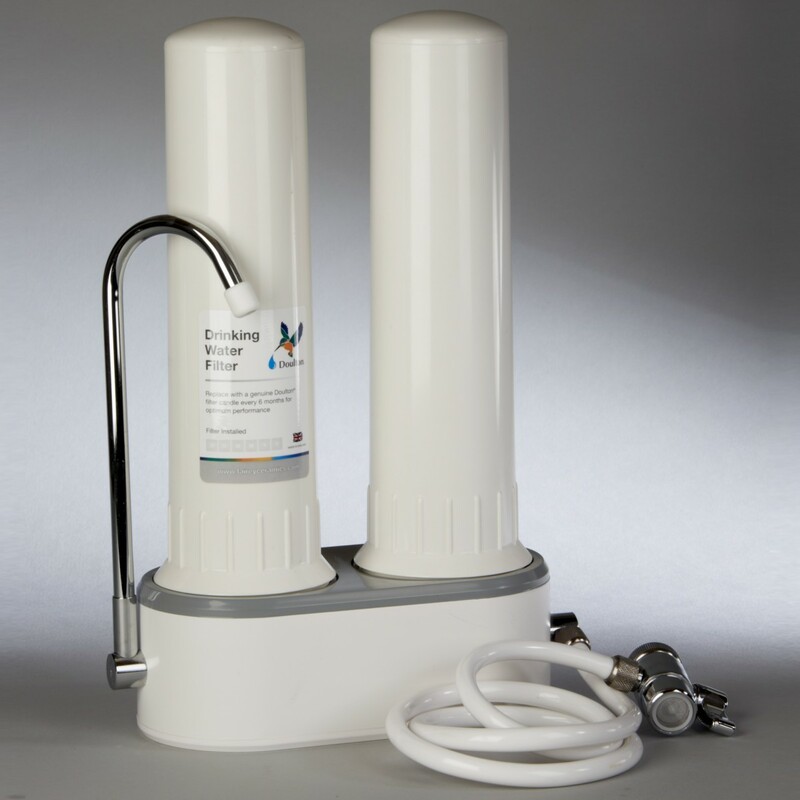 This countertop system attaches to standard faucets and sits stylishly beside your sink, providing you with great tasting filtered water on demand. Note: This system uses short mount candle filters only (sold separately). 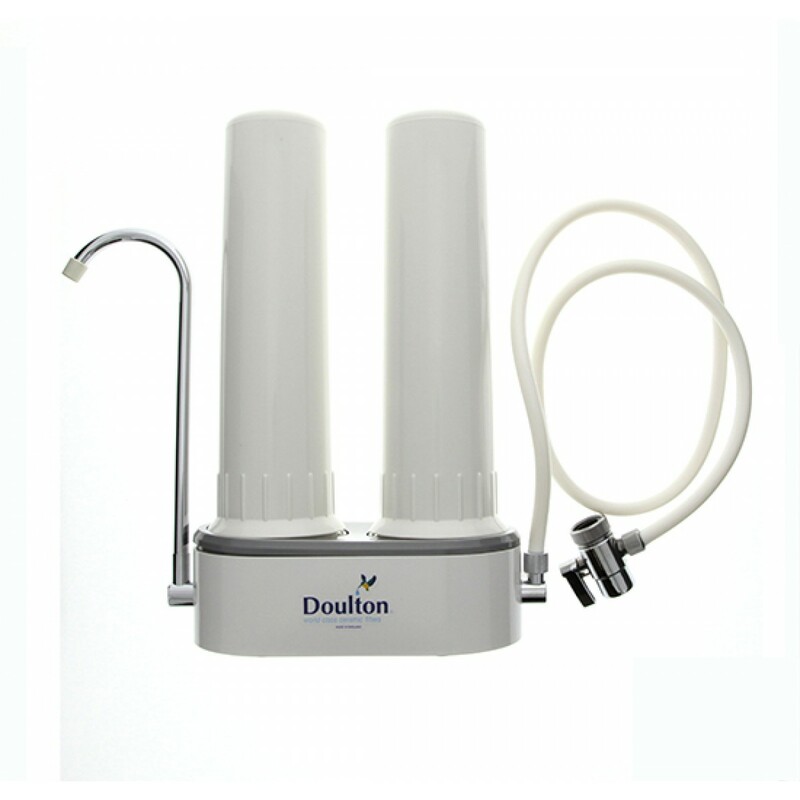 The Doulton Countertop Filter System fits all Doulton short mount filter candles. Note: See owner's manual for complete system specifications.